Hey Coffeeholics! I had an enjoyable pampering sessions with one of my best friends some time ago. She's my classmate and bff ever since I was elem and she is currently my co-teacher. Anyway, just recently she invited me to check out her favorite places to rest, relax, and pretty up at the Nail Xpert Spa. There are several Nail Xpert Spa branches so we visited the just opened branch at The Graceland Plaza, Sto. Nino, Marikina City. I've always admired Naomi's nails. Especially the various nail polishes she uses. It always catches my attention and she would always refer back to this spa. So I really was curious when they invited me to visit their just opened store in Marikina. The Nail Xpert Spa is open for franchising and there are several stores around. But this particular store is owned and managed by Mrs. Eileen Lopez. She also owns two other Nail Xpert Spa branches - one at Vista Square, Vista Verde Cainta, Rizal and another at Rublou Plaza, Brookside Hills, Cainta, Rizal. Mrs. Lopez opened her very first Nail Xperts Spa at Vista Verde last 2010. A year after that, the Brookside branch was launched. And now this 2012, the Marikina branch opened. In all branches, my friend Naomi was their customer during the first day of each branch opening. Yes she's that loyal! hehe. One of the great things about their spa is not only their services but their friendly staff. I don't know about you but for me to go back to a store for a certain service, the rapport that I have with the staff is one major factor for me. The salon is quite roomy and has several couches to make you feel comfy. I especially like the color scheme and the violet color touches to the room. This is where Naomi and I sat. We came straight from work so that we could immediately enjoy the Nail Xpert Spa's wonderful services. And yes, just as the name implies they offer not only "Nail" care but Spa services such as massage and waxing as well. For waxing, they use DEPILIEVE waxing products. Nail Xpert Spa NAIL CARE. A wide selection of ORLY products! I chose dark violet and gray for my toes. Jennifer Lynn Gel Polish is also available at a super affordable price! Of course what really drew me to the Spa was their selection of polishes especially the MAGNETIC nail polish. I first heard about Magnetic Nail Polish from fellow blogger Aya who blogged about magnetic nail polish here. So when I heard that Nail Xpert Spa offered this, I really wanted to try it out. 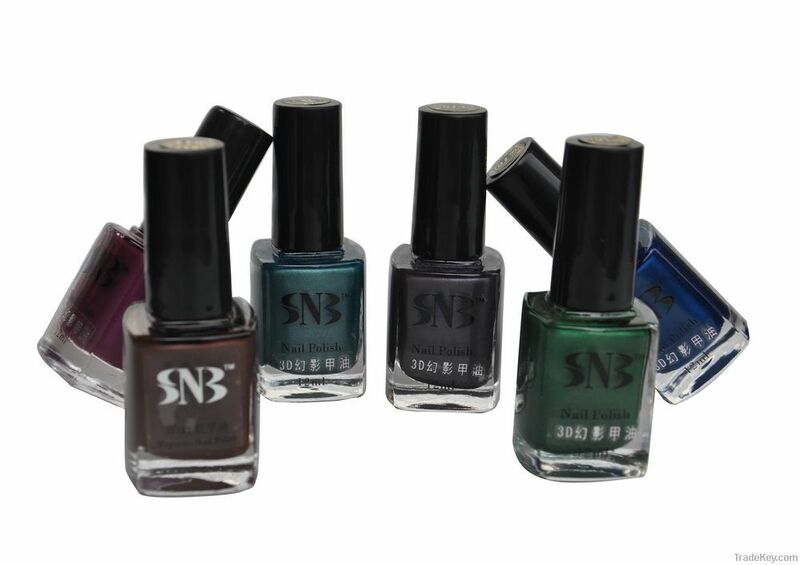 For my nail polish, they used SNB Korean Magnetic Nail Polish. I wanted to have multi-colored nails so I opted for a violet and silver combo. This is one of the magnets that can create a cool horizontal stripes on your nails! So after putting on base coat, Miss April put on a coat of SNB magnetic nail polish. And yes, notice the magnet on the left side of my hand? I decided to go for a diagonal stripe effect. Candy Stripe ang peg! hehe. I also decided to go for silver and violet. Then immediately after, the magnet with design is placed directly above (but not on) the newly polished nail. It is advised to not move the magnet and let it stay there for at least 20-30 seconds. The longer the better. The unique metallic particles in the nail polish arranges itself to the unique pattern on the magnet. So I decided to go for what I now call CANDY STRIPES! Love it! Naomi had her nails done in black and silver with the horizontal stripes design! She called hers.. "Bangus and Tilapia!" hehe. So Coffeeholics, have you tried magnetic nail polish yourself? Or would you even try? Let me know your thoughts. Share share share! Have an awesome weekend!